THICK PADDING - To enhance a powerful grip and an added cushioning without being that thick people should notice the rug gripper under your rug. HIGH QUALITY - Carpet pad won't stain your floors. 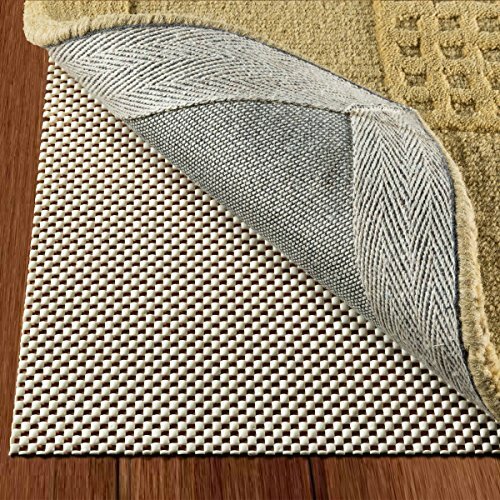 PERFECT FIT - For rug sizes up to 3\' X 5\' actual pad size 32" X 56" and can be easaly cut if needed to fit any non standard sized rug. 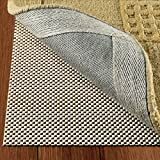 RUG PAD - Keeps rugs in place and prevents bunching and sliding while children or pets are playing or just during normal daily use makes vacuuming easier protects floor surfaces and provides extra cushioning and comfort. EXTENDS RUGS LIFE - By adding support, allowing air circulation, and holding your rug in place it will reduce the wear and tear and add years to your rug\'s life.